The action at a Medieval Times starts before the dinner does. 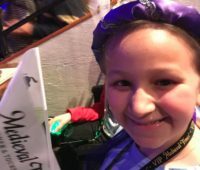 Read our tips for a Medieval Times dinner to make the most of your family’s experience. 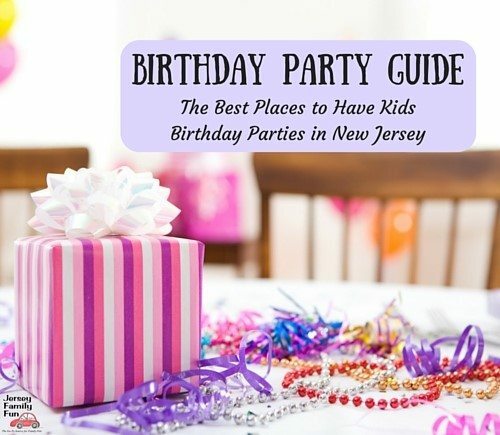 Jersey Family Fun shares ideas and events for celebrating Star Wars Day on May 4th with your kids. A look at the newest Disney movie releases for 2018, family movies for preschoolers through teens from Walt Disney Studios, Marvel Studios, Lucasfilms, Disney Pixar, and Wat Disney Animation Studios. Put these on your calendar for Family Movie Night. A look at the Disney Frozen 2 movie. We’re sharing Frozen 2 movie trailers, music videos, featurettes, interviews, and updating this often. Is the First Man Movie Good For Kids? Get the details on the Universal Pictures First Blu-Ray DVD and its bonus features and if the First Man movie is good for kids. Composers Marc Shaiman & Scott Wittman wrote the music for Mary Poppins Returns. Take a look at the moments behind the Mary Poppins Returns soundtrack. Pixie Davies and Joel Dawson play the Banks children in the Mary Poppins Returns movie. Read all the great things they shared with us during our interview. 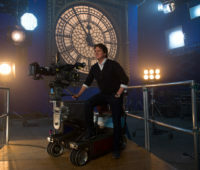 Read how Disney Mary Poppins Returns’ Director Rob Marshall was both inspired to create a new Mary Poppins movie and inspired his cast to do the impossible. Ben Whishaw & Emily Mortimer who play Michael and Jane Banks in Disney’s Mary Poppins Returns share their favorite moments and more from our interview. 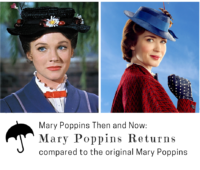 How does Mary Poppins compare to Mary Poppins Returns? Read our side by side comparison of the original Mary Poppins movie to Mary Poppins Returns.